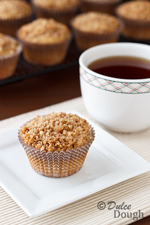 If you like maple syrup, you need to try these Maple Cinnamon Streusel Muffins. Not being much of a morning person, I baked a batch of these late at night to have ready for breakfast in the morning. The muffins smelled so good baking that I could hardly stand waiting until morning to try one. The fragrant smell of warm maple syrup and cinnamon haunted me all night long. And the verdict in the morning: they tasted as good as they did in my dreams. Have you tried baking with maple syrup? Maple syrup is a wonderful natural sweetener, but it also adds the amazing maple flavor. The grade of syrup that you use affects the amount of flavor achieved. For the best flavor in baking, Grade B (US grading system) is recommended. Grade A syrups (Light Amber, Medium Amber and Dark Amber) can be used in baking too—they will add sweetness, but not as much maple flavor as Grade B. Also, the Dark Amber adds more flavor than the Light or Medium Amber. If the maple syrup you are using doesn’t give you enough of a maple taste, you can also add maple flavoring to your recipe. As I mentioned when I posted this Maple Cupcake recipe, my grandpa used to make maple syrup and that is the syrup that I use for baking. It is considered Grade A—Dark Amber. So I generally add Mapleine flavoring along with the real maple syrup to achieve a nice maple flavor. I also want to mention for those who may not be aware--real maple syrup is NOT the same thing as what is sold in the grocery store as “pancake syrup” or “breakfast syrup”. Those are made with high fructose corn syrup, and they generally cannot be substituted for real maple syrup in baking. Maple syrup can be substituted for white sugar in baking, but it is important to remember that because it is a liquid, it is not a 1:1 substitution. 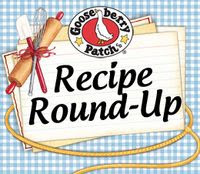 It is recommended that you substitute 3/4 cup of syrup for each cup of sugar and reduce the liquids in the recipe by 3 tablespoons for each cup of sugar substituted. I have gotten good results using this formula. Muffins sweetened and flavored with maple syrup and topped with cinnamon streusel. 1. Grease standard muffin tin or line with paper liners; preheat oven to 400°F.2. In a large bowl combine the flour, brown sugar, baking powder, and salt.3. In another bowl mix together the milk, butter, maple syrup, sour cream, egg, and maple flavoring.4. Stir the wet ingredients into the dry ingredients until just combined, being careful not to overmix.5. To make the streusel topping, combine flour, brown sugar, cinnamon, and salt; use a pastry blender to cut in butter until mixture resembles coarse crumbs.6. Fill muffin cups with batter 2/3's full; spoon streusel topping evenly over batter.7. Bake muffins for 16-20 minutes in 400°F oven or until a toothpick inserted in the center of muffin comes out clean.8. Cool for 5 minutes in pan, then remove muffins to wire rack; serve warm or cooled. Gorgeous, Jill! I love maple and love anything with streusel topping! Oh My Jill these just look so perfect (and I love the wrappers). Wow, this looks like the perfect breakfast muffin! And that streusel is absolutely divine! These look amazing! Love the flavor combination, and the pictures are gorgeous! That's so cool that your grandmother use to make maple syrup and you still have some leftover or you make her recipe now? Pretty muffins, they sound so tasty. We have a few jars left. I will be so sad when it it gone. maple & cinnamon - 2 of the most heart warming flavors! Sounds like the perfect muffin for breakfast. I love maple syrup. I would not have been able to wait til morning to eat one of these lucious muffins...I just wouldn't have been able to sleep! Thanks for a fantastic tutorial on maple syrup...I'm now inspired to bake with it! I'm innately a late person too, Jill. I envy early risers...if I don't have a firm schedule, I'll fall back into staying up (and working late)! Thanks for explaining the differences in maple syrup. I always have doubts when I have to buy some.